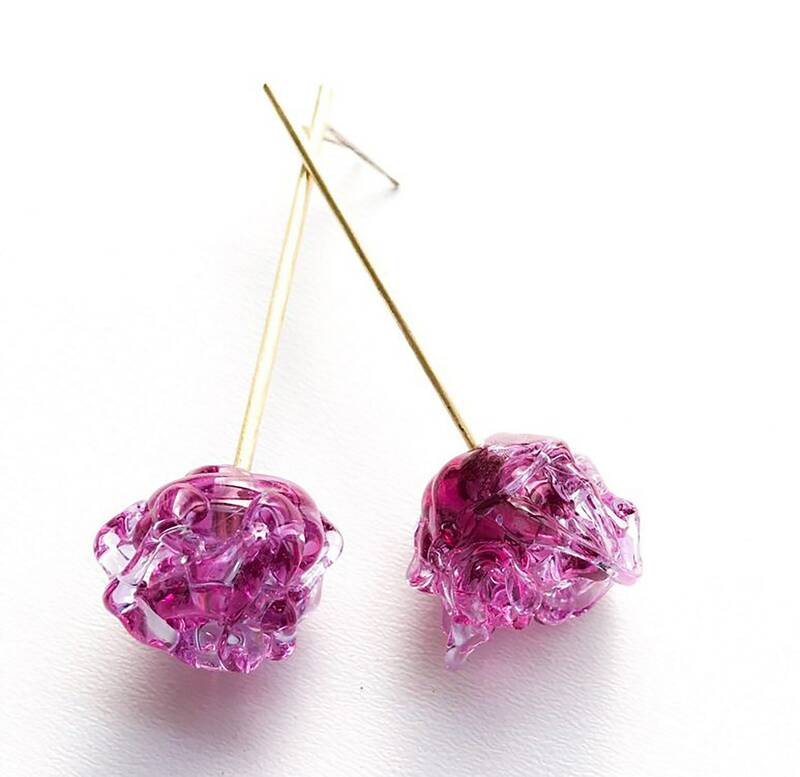 These earrings are made by hand with Murano glass worked in torch and subsequently annealed. They are very special, with the glass as if it had been woven, and I can make them in more colors or with transparent glass. You can choose between amber, pink, transparent, light blue, medium blue, lime green, forest green or greenish gray.